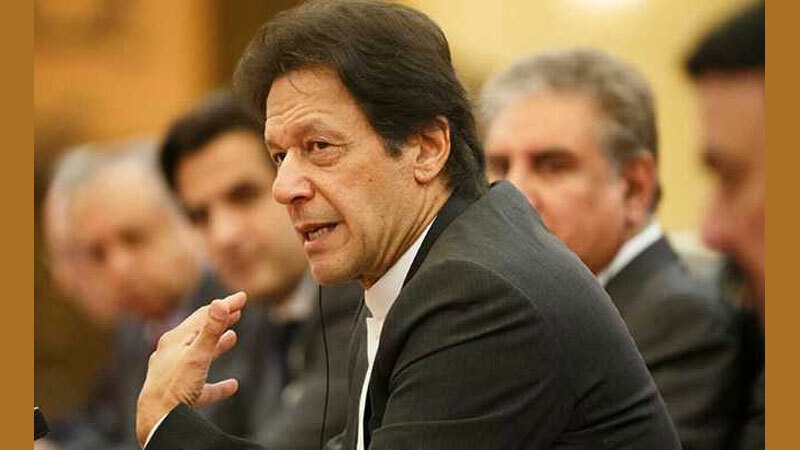 Home Pakistan PM Imran Khan accuses India of war "hysteria"
Pakistan’s Prime Minister Imran Khan has accused India of “whipping up war hysteria” over February’s tense stand-off between the two countries. In a tweet on Saturday, Khan blamed Narendra Modi’s ruling Bharatiya Janata Party (BJP) claims that India shot down a Pakistani F-16 during a standoff. Tensions between India and Pakistan escalated after a February suicide attack that killed at least forty Indian policemen. India then said it hit a training camp for an armed group who claimed responsibility for the attack. Pakistan dismissed the attack as a failure. The nuclear-armed neighbours then engaged in an aerial battle over the disputed region of Kashmir a day after Indian jets crossed over into Pakistan to attack a suspected camp of anti-India militants. India Prime Minister Narendra Modi, who had said that India had taught Pakistan a lesson, is campaigning ahead of elections next week.